Wheat is the worlds most important grain crop. Wheat is important not only for its nutritional value, but also for its gluten content. Gluten is the protein of the wheat which, when properly developed by kneading, will trap and hold the yeast gas in the bread dough causing the bread to rise. Wheat is the only grain with the proper amount of gluten to facilitate the rising of bread dough to make light, soft loaves. 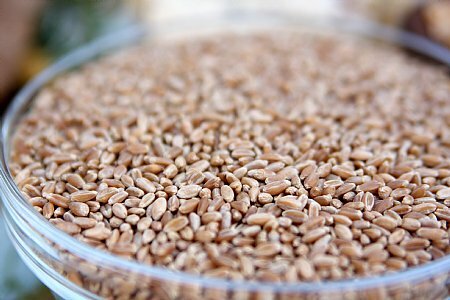 Click here to read Sue's article "A Few Words About Wheat"
Wheat Kamut Red White ORGANIC 45lbs. 6 gal. Bckt.